A.M. Best Co. kept the financial strength rating of BMO Life Assurance Company (BMO Life) at “A”, which stands for “Excellent”. At the same time, BMO Life’s issuer credit rating was sustained at “A”. Better yet, the prospects for BMO Life were assessed as stable, considering the financial statements and other publicly available information on BMO Life and Bank of Montreal. 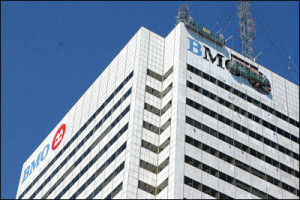 BMO Life is owned by Bank of Montreal (BMO). BMO Life is not the only insurance subsidiary of BMO, but it is a very important one, serving specific portions of the market. For those reasons, analysts rely on BMO to support BMO Life in case of any contingent financial problems. During the financial crisis shake-up, BMO Life was noticeably bruised in the turmoil within the crowded life insurance marketplace and may need some time to recover from all its financial and reputational losses. BMO offers a variety of insurance product, ranging from individual life insurance through universal life, term life, whole life, critical illness, no medical life insurance, to structured settlements and annuities. Its product mix is somewhat unique and thus attractive to specific portions of the insurance clientele, which may be considered its core strength. BMO Life sells its products primarily through a network of agents originally established by AIG Life. In 2009, Bank of Montreal decided to purchase AIG Life Insurance Company of Canada. The entire company was re-branded to BMO Life Assurance Company, but its business model remained largely intact. Analysts seem to have welcomed this acquisition well, seeing as AIG Life/BMO Life now has a large and stable parent ready to support the subsidiary’s growth and step in when problems occur. I am interested in taking a life insurance with BMO. I would like to receive some information from BMO. They can contact me either by email or by phone. Thanks for the note Jean. BMO sells plans via their Independent brokers and direct through their call centre. The Easy One and Guaranteed Life Plus are sold direct via their call centre.